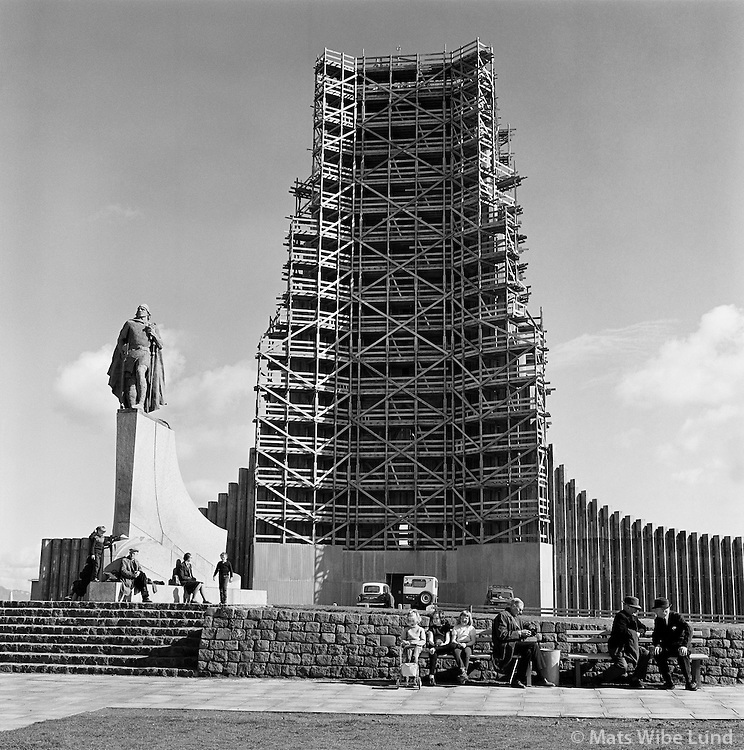 Hallgrímskirkjan í byggingu 1967, Reykjavik / Hallgrimskirkjan being built 1967, Reykjavik. In front left the statue of Leifur Eiríksson the discoverer of America, give to Iceland by the people of USA. From the anniversary exhibition "Mats 1956-1978"